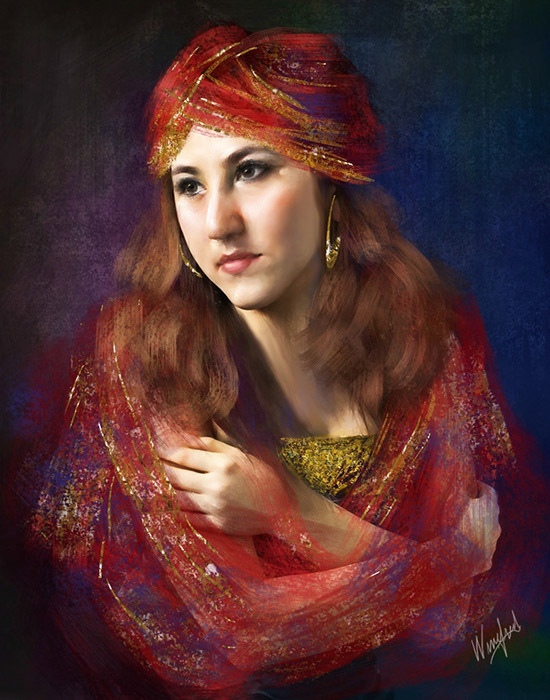 Creative Portrait Class is now open at Digital Art Academy. I am instructor for this class. It will be available for registration and enrollment through May 2016. To see a video overview of this course click here. This promises to be a class you will love and value. 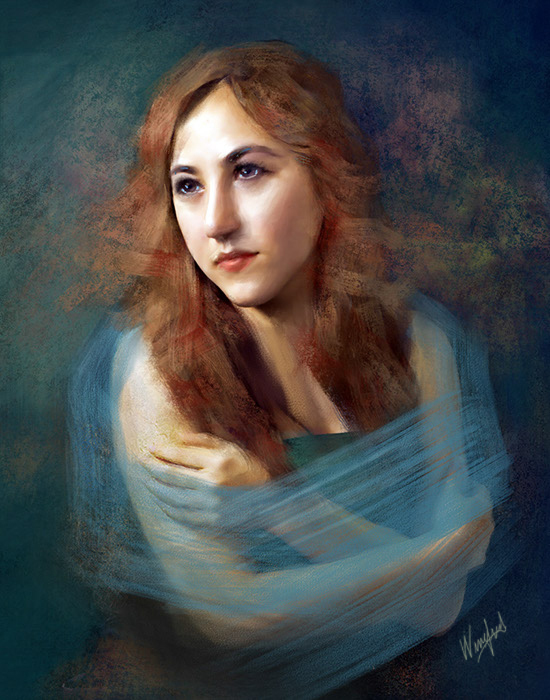 Work within your skill level but explore the many creative techniques you can bring to your portrait painting. Class includes reference photos, textures, bushes, and video tutorials you will need. No matter your level of portrait painting experience or your portrait painting style, you will become a stronger and more creative painter. 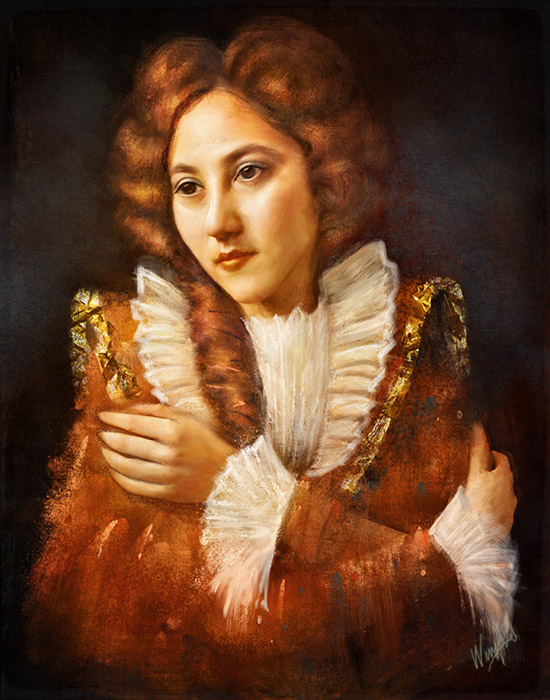 You may create a simple blender painting or a more complex freehand embellished work of art. You will become more proficient with your blending but we will also spend significant time exploring many other techniques to enhance your portrait and background. This includes an option to practice easy but artistically painted hairstyles. You may want to paint simple sheer attire and using a layer mask add decorative elements to portrait and/or background. Images and textures are included for this process. These techniques may be used on simple blender paintings or cloned paintings. There will also be fun but instructive warm up exercises to get your creative juices flowing. Image below was not demonstrated in class tutorials though many of the techniques used are demonstrated. 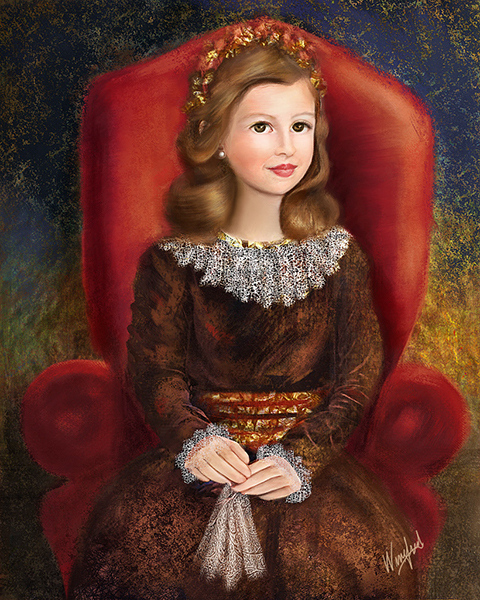 Chair and face and all clothing embellishments were freehand painted. 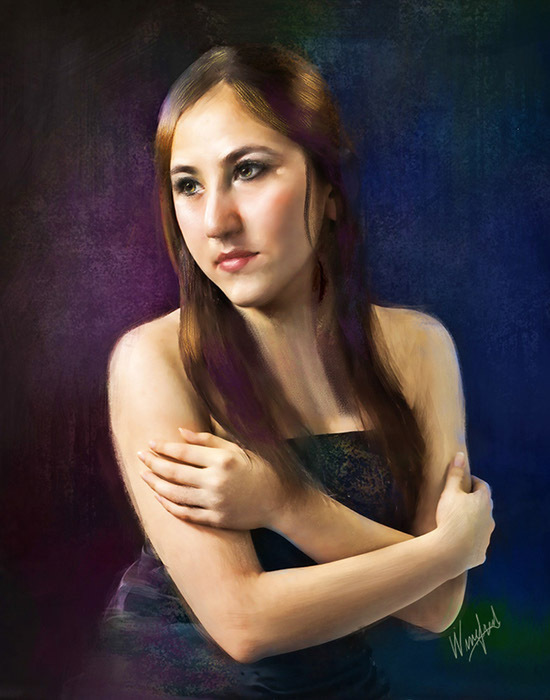 This entry was posted in Corel Painter Training, Painting Portraits in Corel Painter by Winifred Whitfield. Bookmark the permalink.